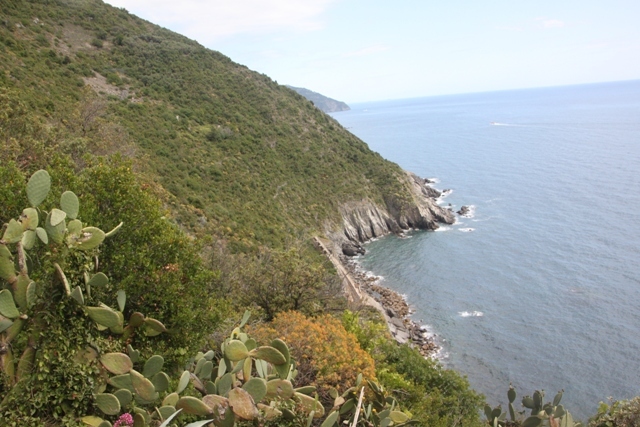 Refreshed, refuelled and raring to go we set out to hike the Sentiero No 2 between Corniglia and Vernazza. 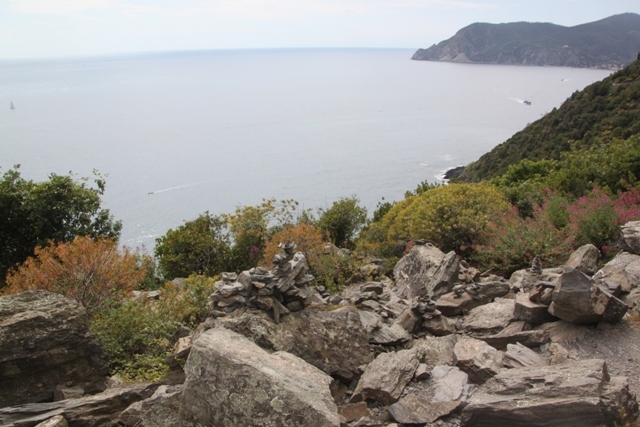 The entire trail is 11 kilometres long and there is an elevation of 500 metres between the highest and lowest points. 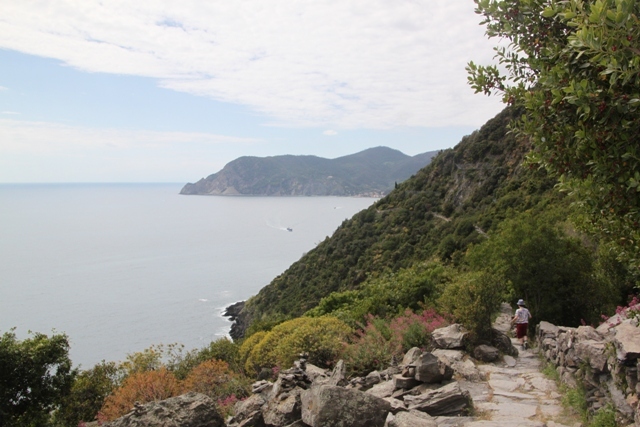 The section between Monterosso and Cornigilia is apparently the most difficult. We didn’t get to compare – the “easier” parts were all closed thanks to landslides. Anyway, sturdy shoes, hats and water bottles at the ready we found the path and started walking. Paved, flat and a bit of a doddle was our first impression, well that soon changed. 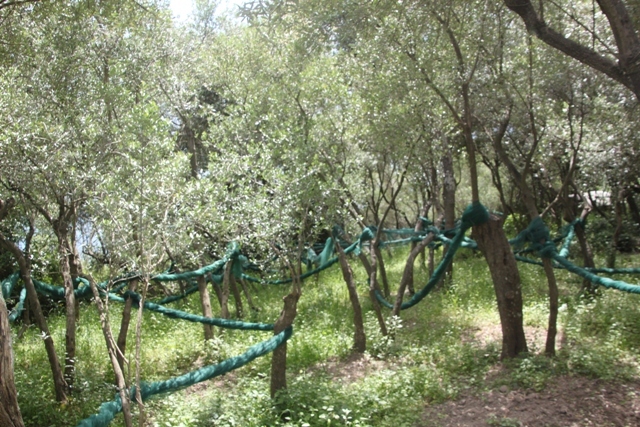 We passed through olive groves and the smell of orange blossom and rosemary was literally everywhere. 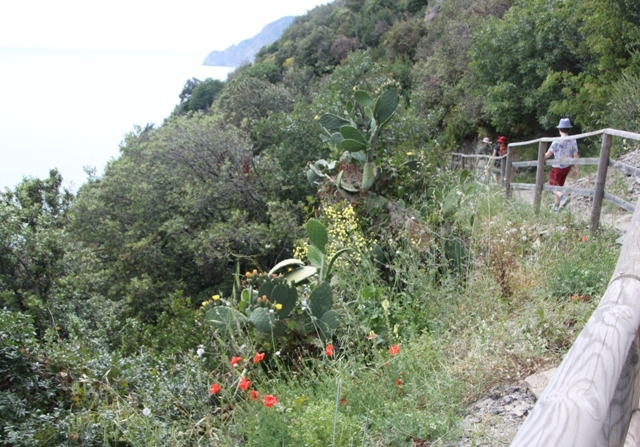 This is one of the prettiest and steepest sections of the coastal walk – I can vouch for both of those. 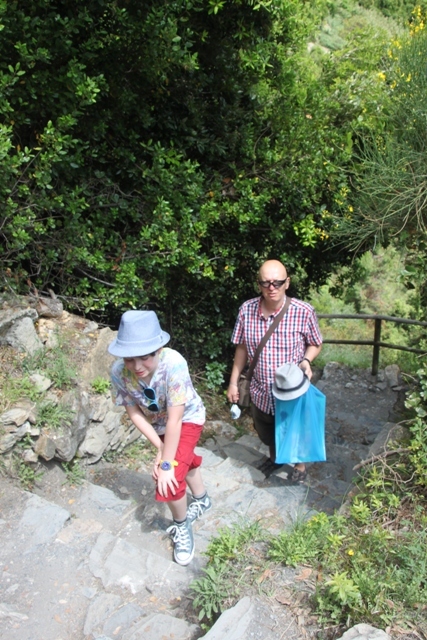 Before long a steep, stone staircase loomed ahead (the first of many), thus began (the first of many) groans from Son. We climbed and climbed – dozens and dozens of steep stone steps, thigh testing and great for the bottom, not so great for the knees. Easy is not a word to use here – unless you are a mountain goat. Stamina is definitely required. The effort is well rewarded. Gorgeous views back to Cornigila and gorgeous views all round. 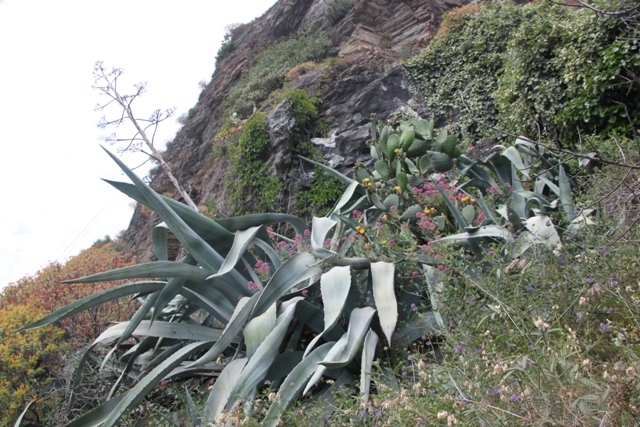 On one side blue seas, the other steep terraced vineyards, stone walls with wisteria and jasmine and all manner of interesting plants like semi tropical aloe, prickly pear and orange and lemon trees. 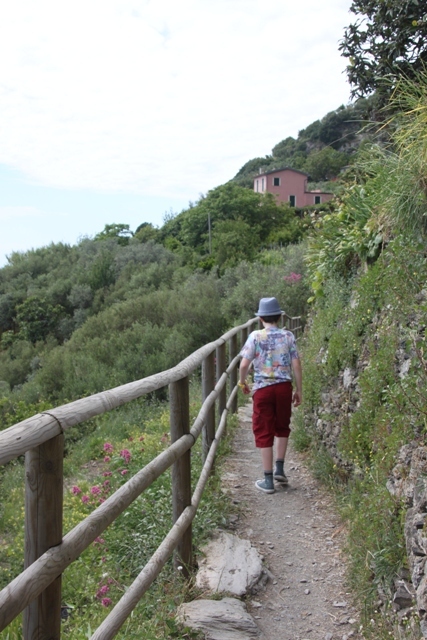 Some sections of the path were actually flat and easy, lots were not and others hugged the cliff sides hundreds of feet above the sea but it all felt safe and we weren’t too worried about Son scampering ahead. Maybe because scampering was probably a bit of an exaggeration – the steps certainly took the sting out of his tail. 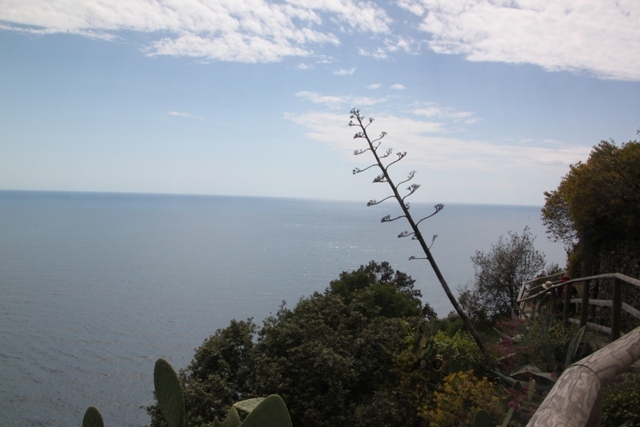 The scenery is just ravishing – no other way to describe it. The distance too is not so bad – it’s the ups and downs that do it. 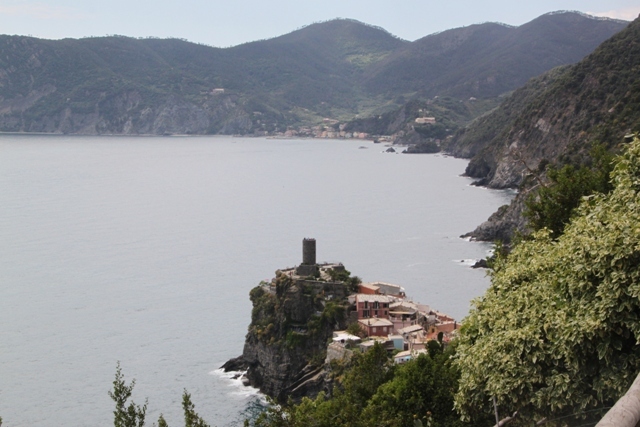 We hiked hard and tough for just over an hour and a half before, perspiring profusely we caught our first peek of stunning Vernazza – the thought of a gelato and ice cold beer put a new spring in our steps. This is not an easy walk for sure, it is though one of the best coastal walks I’ve ever done. Even if (like me) you’re a bad map reader it’s fine, the paths are marked but you just keep the sea to the left (or right obviously direction dependent) and all will be well. 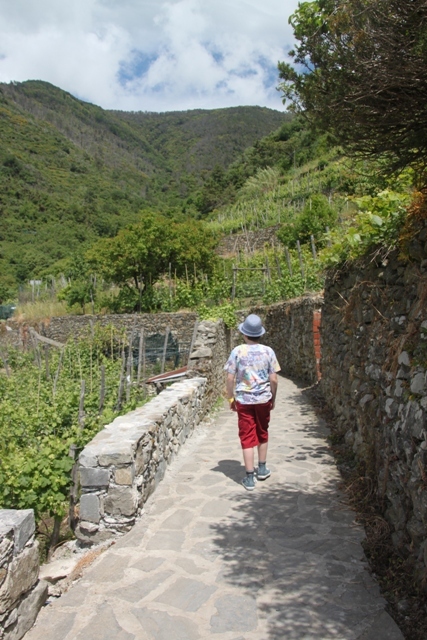 A walk with a wow – Son’s words and the best way to describe it. Thanks Rosemary – it really was ravishing!! Hope your weekend is great too. The views are amazing – the only problem is you end up with so many photos, everywhere you look is picture postcard perfect! I felt like I was looking at my own photos from a year ago. What a beautiful place! Great post. Definitely one of the most beautiful places I’ve ever visited – we’re forgetting the pain of the hike and remembering only those glorious views as time goes on! Beautiful view! Worth the effort! It definitely was well worth all the hard hiking Erika – we’ve almost forgotten the hard bits and just remember those glorious views now! I took this hike back in 2004! Just incredible views & experience. Great post. It is definitely a hike with the wow factor! Despite all the steps we absolutely loved it, not many places you get views like that. Beautiful! I love the how you described the scenery–ravishing! Thank you Caryn – it was ravishing and magnificent! Have a great weekend. Joshua Tree National Park is somewhere we would absolutely love to hike – not got around to it (unfortunately), maybe someday….. We only scratched the surface of all the amazing hiking trails in this little area, I’m sure you will find some amazing places when you get to Italy – I’m so looking forward to reading about them. What a beautiful sceneary. I would definetly enjoy having a walk (or jogging) right there. It is such a stunningly beautiful place, despite the hard work the hike was worth it! As long as the hike is worth, it’s always a pleasure. Especially when you arrived at your final location. That feeling after a long hard day is unbeatable! You have all this to look forward to with Z!! 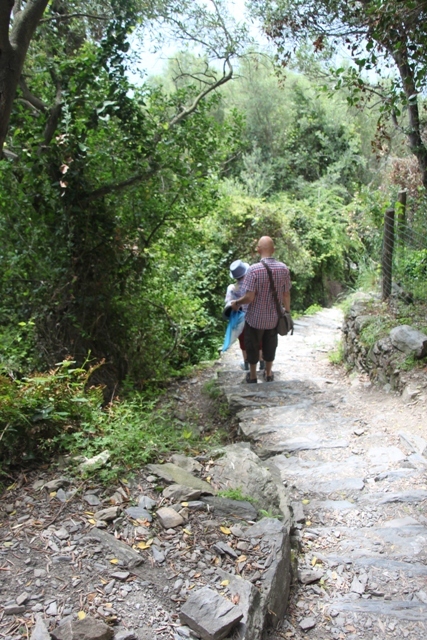 It is a fabulous place to go hiking and a fabulous place to bring children. Don’t forget to break them in first!! Have a great weekend. 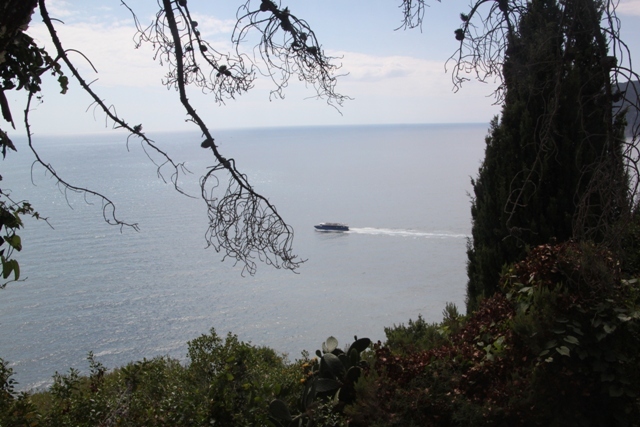 The views and the colours everywhere are just fantastic – it is a gorgeous place! Worth it for the view but also I’m guessing it was a peaceful evening afterwards. Lucky you didn’t want to take the easy route anyway! Well I slept like a log and was tucked up nice and early! I would have been, too! Great post and pictures. 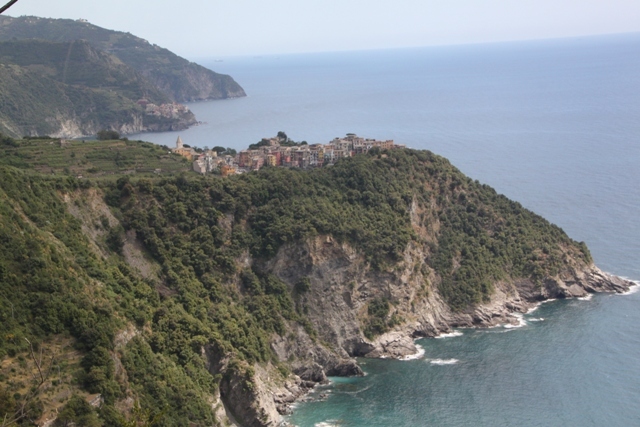 Cinque Terre is one of my favorite places on the planet! Right now I happen to be reading a book called “Beautiful Ruins” by Jess Walter. 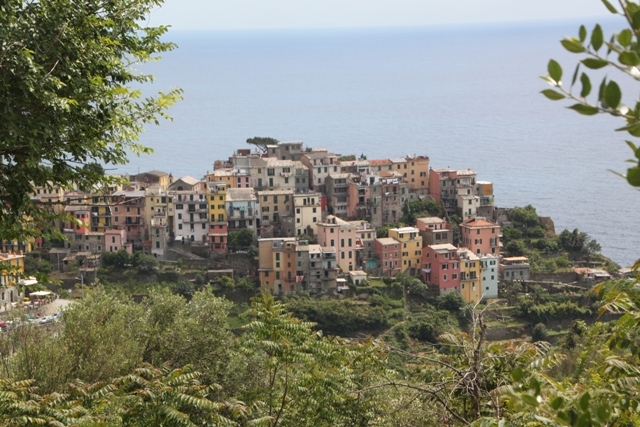 It is set in a little village right next to the five Cinque Terre villages. Lovely book for a lovely place! Thanks Debra and thanks for the book tip too! We are a family of bookworms so all reading tips are gratefully received. I love to read something set in the place I am staying (where possible), this sounds like a good read which will bring back some great memories. It was a great hike but you really didn’t need to be super fit to do it – you could just take as long as you wanted! It was well worth the effort too. What a wonderful adventure! I look forward to my wee ones older ages so that we can travel more. Probably not billed as a real child-friendly destination, but we tend to disregard that and go where we fancy! Always works out well and our son loved it here. The sea was lovely and warm – we had a dip too and enjoyed it!! The Baltic must be freezing though – I have swam in the Atlantic and that was cold enough!! It was a walk with plenty of wow! !